Disney’s Hollywood Studios is increasingly proving to be a must visit for preschoolers! With Disney Junior Play & Dine character dining, the new Vampirina meet and greet, the addition of Toy Story Land last year, and the new Incredibles Celebration area, it’s definitely my daughter’s favorite park to visit. 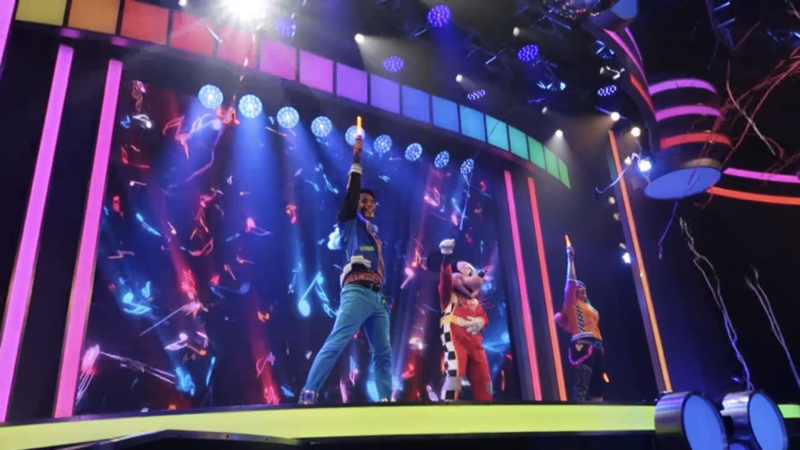 Now, kids can experience an all new dance party with their favorite Disney Junior characters. 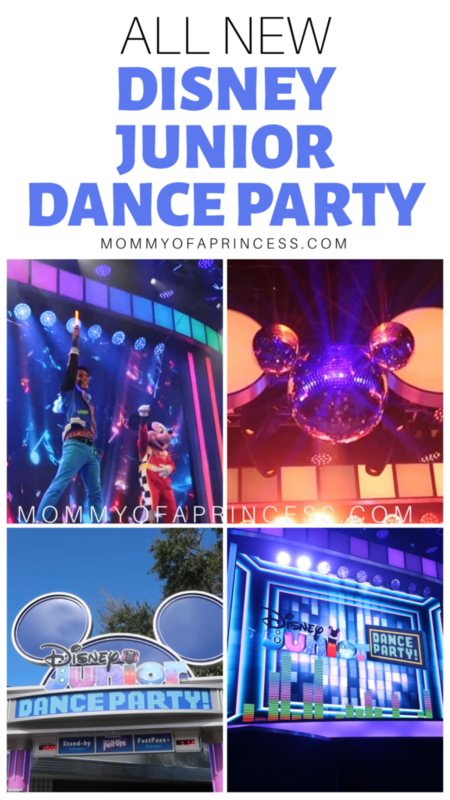 Check out the new Disney Junior Dance Party Hollywood Studios below. 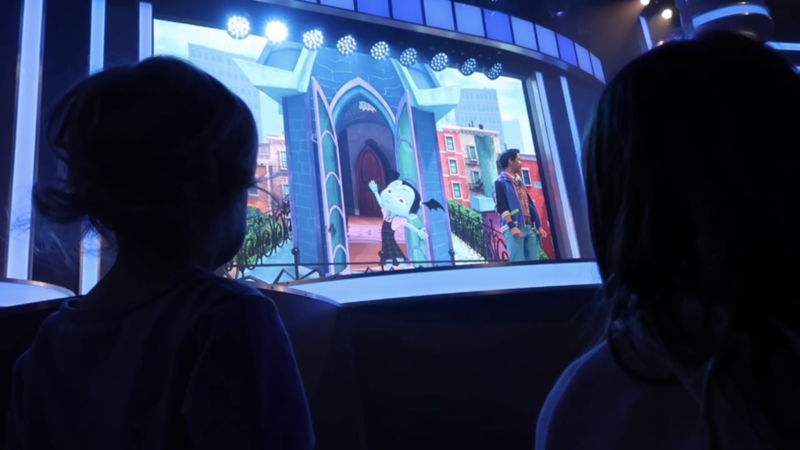 As a replacement for Disney Junior Live which featured Sofia the First, Jake the Pirate and Doc McStuffins, the new show is updated with current Disney Junior favs. Hosted by DJ DJ and DJ Fiesta, this upbeat and interactive show is sure to have kids and parents dancing along. 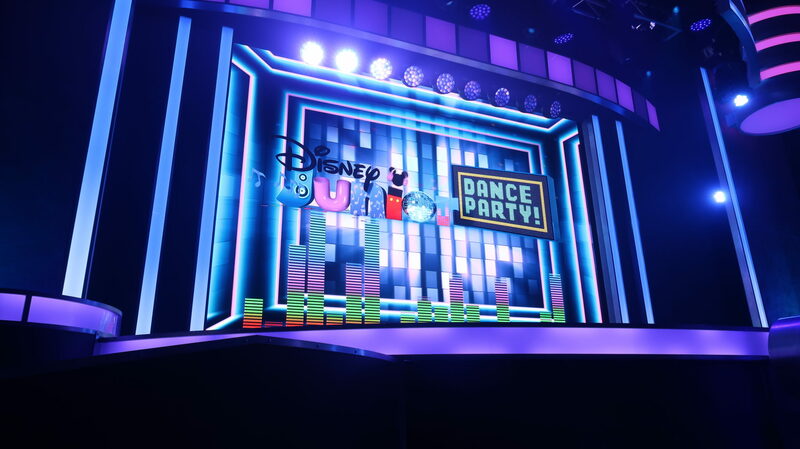 The Disney Junior Dance Party features Vampirina, Mickey and the Roadster Racers, Doc McStuffins, and Timon. Unlike the previous show, this features LIVE characters, not puppets. There are lots of colorful lights, special effects and a glimmering Mickey shaped disco ball. Similar to the previous show, kids will love the snowing effect, bubbles and leaf confetti coordinated at specific times to add to the magic. Do you need a FastPass? I had a few people ask me this on Instagram. No! I don’t think you need a FastPass for this show (try to grab one for a Toy Story Land ride instead). But I do highly recommend showing up 10-15 minutes prior to the show start time. The characters stay up on stage and guests sit on the floor, so there isn’t a bad seat in the house. After you see the show, be sure to make plans to meet characters from Disney Junior Shows at Hollywood Studios in the Disney Junior Courtyard. 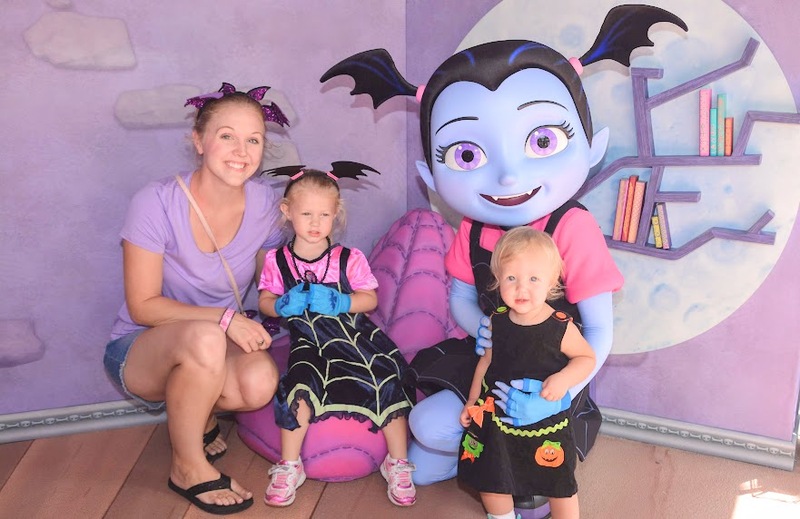 Is Vampirina at Disney World? She sure is! Vampirina is a favorite of my daughter’s. She is available for a daily meet and greet and is also part of the Disney Junior Play and Dine Breakfast. Currently, you can meet Doc McStuffins, Vampirina and Pluto. Effective May 1st, Sofia the First will be replaced with Fancy Nancy. Have a Vampirina fan? Check out this fun party with free printables! Walt Disney World is a premier destination for families with little ones ages 2-5. As Annual Passholders and frequent visitors, I can’t imagine a better place to bring my girls. There are currently several awesome deals happening, in addition to free dining with select packages. Visit www.disneyworld.com/littleones for more information. If you’re planning a trip, check out my must book FastPass+ list here. 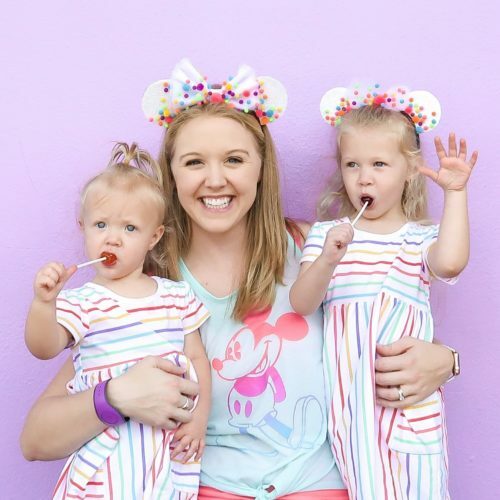 Be sure to read my ultimate guide to Disney with a preschooler too!